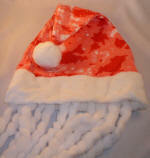 Be a stylish Santa in this Dreadlock Santa Hat. The Polyester "dreadlocks' measure about 1 ft long & the hat is a combination of pink, red & white design (sort of a camouflage pattern). 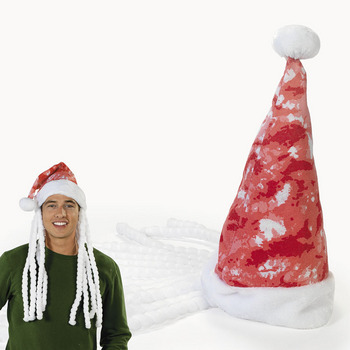 One size fits most adults (measures about 20" inches around the base).